7. There are still good people out there. Again, don’t buy into the myths that “all the good ones are taken.” Hogwash! You’re not taken, right? Well, I rest my case! If you’re single and available, then not all the good ones are taken. So you just need to get out of your own head and stop believing those lies that society tells you. There are plenty of good eligible singles out there for you to match up with. One of the things that singles don’t like is that they can’t predict the future. Or control it. They think, “Will I be alone forever? Will I be an old maid? Where should I go to meet people?” Lots of people don’t like uncertainty and unanswered questions. But uncertainty brings a ton of opportunity. Your options are endless!! And that’s a good thing! You just need to believe that it is, too. 9. Focus on what you have, not what you don’t. This is rule #1 of the Law of Attraction. If you’re not familiar with it, I suggest you read about it. When you focus on the negativity of being single, you are only putting negative vibrations out there to everyone. They will pick up on it. Focus on your great job, wonderful friends, your health, your car, food on your table—you name it. When you focus on the good things, your vibration will change to being positive. Other people will pick up on it and want to be around you even more than they already do. 10. Keep busy with things that make you happy. Do you like running? Join a running group! Do you love to read? Join a book club! Do you like to go to happy hour with your friends? Do it! The more you keep busy, the less you’ll focus on the negatives of being single (but there really aren’t any negatives—only what you think are negatives). Keep busy and have fun. And who knows who you will meet in the process? 11. You need to love yourself the way you want to be loved by a partner. If you have been nasty to your partners in past relationships, re-think that! If you’re being nasty to yourself, stop doing that! Love yourself! Treat yourself with kindness and respect. If you want a quality relationship with a person who will treat you well, you need to start doing it yourself. 12. When you feel lonely, give back to others. Maybe you’re feeling down on yourself or you’re feeling lonely because haven’t been on a date for a long time. Then try giving back! Volunteer at a homeless shelter or a center for abused women. It always feels good to help others. The more you help others, the better you’ll feel about yourself. And it will also help you not focus on what you “don’t have” quite as much. 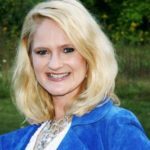 Dr. Carol Morgan is a professor, TV personality, speaker, author, coach, hypnotherapist, and the Editor of ABetterMeMagazine.com. Check out her video class that is based on her Lifehack article, "12 Toxic Thoughts You Need to Drop for a Better Life" that got shared 87,000 times (the class is on Udemy). 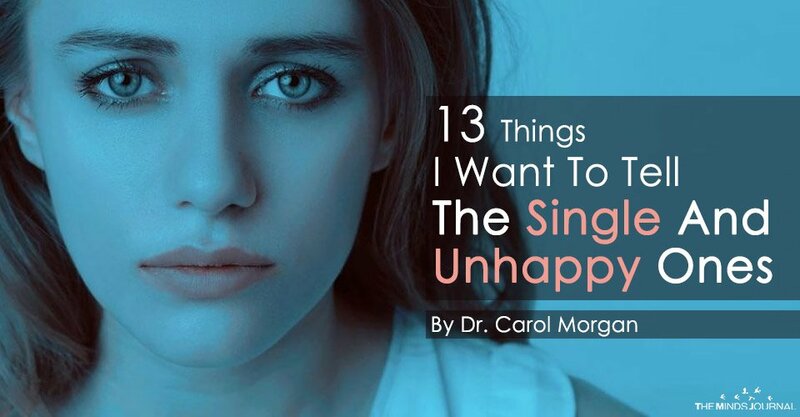 You can find the link to the class on her website at www.drcarolmorgan.com.